WAR, PEACE, OR BOTH IN MIDDLE EAST? Title: WAR, PEACE, OR BOTH IN MIDDLE EAST? Subtitle: Even as U.S. leads international effort to establish a Palestinian State, Israel issues a global callup of reservists, a major war sign. We see "peace" announced first, then all-out regional war. Details below. Some years ago, I read that the U.S., Great Britain, and Europe had secretly created a plan to prevent Israeli reservists from leaving their respective countries once war broke out. I discounted this plan at the time because I know how closely the U.S. and Great Britain are working with Israel in this entire scenario; however, Europe has always been anti-Semitic and continues to be so today. Even the U.S. and Britain instituted anti-Semitic policies during World War II that sent many Jews to their death in Hitler's death camps. If Israel believes that all-out war is imminent, despite all the talk about a peace conference and a Palestinian State, it would make a lot of sense that they would issue a Code 8 global reservist call-up before the war actually begins, to get their reservists flowing to Israel while they can still clear customs in their respective countries. This call-up is just one more clear sign of war seen amongst all the peace talk! Now, let us quickly review some of this current peace talk and the talk of a Palestinian State being created out of all this mess. RAMALLAH, West Bank - Palestinian and U.S. negotiators are working on a joint statement condemning suicide bombings and endorsing creation of a Palestinian state, officials said, while Israeli Prime Minister Ariel Sharon said his troops would leave two of the four West Bank towns they are occupying within a week." Therefore, in the current news, we have conflicting signs about whether the future holds war or peace. On the one hand, we see Israel calling up its reservists who are living in foreign lands, while we suddenly see dramatic movement toward a "peace" settlement and talk of a Palestinian State. NEWS1395 -- "United Nations Plans Three Meetings Envisioned In 1991 As Needed To Move To Jerusalem Internationalization And Finally To Antichrist"
NEWS1573 -- "Is Jerusalem About To Be Declared An International City Where A Combination Church/Mosque/Synagogue Could Be Built?" NEWS1413 -- "Jerusalem No Longer Belongs To The Jews! It Does Not Belong To The Arabs Either!" NEWS1529 -- "Is The United Nations About To Take Step 3 of the New Jerusalem Covenant Project Regarding Jerusalem?" NEWS1587 -- "On February 15, 2000, Pope John Paul II Signed A Covenant With Palestinian Arafat Calling For Internationalizing Jerusalem!" This particular agreement also called for a Palestinian State to be established. Therefore, Arafat has already agreed to give up control of Jerusalem in exchange for a Palestinian State; and, his agreement is captured in writing. This covenant firmly and boldly stated that "Jerusalem should be an international city based on international resolutions and an international guarantee. 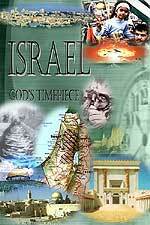 (The UN decided on more than one occasion that Jerusalem should be an international city.)" The concept behind this plan is that, since Israel and the Palestinians cannot agree on who should control Jerusalem, neither side should control it. This plan will be advanced as the only way in which Jerusalem could be free of further terrorist attacks. And, therein lies the probable reason for the terrible wave of terrorist attacks since the Intifada started on September 29, 2000. You see, once Arafat agreed that international forces should control Jerusalem, only the Israeli citizen stood in the way. Too many Jews -- secular and religious -- have a fervent love for Jerusalem. Their fathers and grandfathers prayed every day and at every feast, that "next year, Jerusalem". Therefore, the question of the hour is: How can the average Jewish citizen be persuaded to give up their cherished control of Jerusalem? Might they be persuaded by continuous and increasingly bloody terrorist attacks? Might they become so mentally and emotionally exhausted by these never-ending terrorist attacks that they might be persuaded to give up control of Jerusalem? I believe they just might be so persuaded, especially if the international community guarantees that Jews would perpetually have unfettered access to their holiest of places. Watch the news, for I believe this may be the way this scenario may be played out. NEWS1056 -- "Next Arab-Israeli War -- Albert Pike's Third World War Planned To Produce Antichrist"
NEWS2107 -- "Arabs Beware! You Have Embarked On Mission Impossible"
NEWS1422 -- "The Coming Prophesied Annihilation of the Palestinians"
NEWS1625 -- "Jewish Professor Accuses Sharon Government Of Planning "Ethnic Cleansing" of Arabs In Israel"
This article quotes a most ominous statement by Prime Minister Sharon. He stated: "... the IDF would begin marking the zones immediately and placing obstacles along them." ["Sharon unveils buffer-zone plan", by Gil Hoffman, The Jerusalem Post, 2/22/2002]. Since the fuel-air bombs Israel is planning to use against the Palestinians will be dropped from airplane and helicopter, IDF pilots will need to clearly see their exact attack zones. They will need to precisely drop their fuel-air munitions so that the Jewish population living in close proximity to the target zones will not get killed. This step is precisely the last step one would expect the IDF to take if they are preparing the kind of annihilation of the Palestinians as called for in Obadiah 15-18. Therefore, when you see the "diplomatic breakthrough" announced that will create a Palestinian State, do not be caught up in the false proclamations of peace that will emanate from all major capitals of the world. Remember that, while all the world's media is pronouncing "peace in our time", the IDF is marking the target zones and placing obstacles between them. Remember also that the U.S. is preparing an attack on Iraq that may include nuclear weapons. If we attack Iraq, Arafat is bound by secret agreements to come to Saddam's assistance. In NEWS1056, above, the Arab governments of Syria, Iraq, and Egypt have agreed that, in the opening stages of their all-out war against Israel, Arafat would throw his para-military forces into the fray against the IDF, to try to disrupt the flow of men and material to the borders of Israel. If Arafat carries out this action, Israel will annihilate her. And, Obadiah 15-18 will have been fulfilled. Clearly, the End of the Age is upon us. You can see its progress in your Daily News.